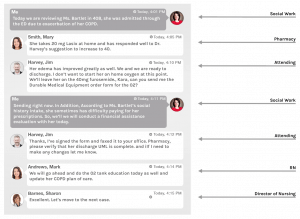 Many healthcare organizations are flocking to a HIPAA-compliant texting app to streamline communications. And, it’s no surprise why. Organizations have learned, when communication can happen anywhere and in real-time, the previous barriers no longer apply. Thanks to secure texting, you no longer need to reserve that conference room. You don’t even need to be on campus to have meaningful discussions that drive quality care forward. The possibilities are endless. To start, let’s look at four simple ways secure texting can help your healthcare teams collaborate better. How much reimbursement is lost in your organization to under-charting or under-billing? Do you see “CHF” documented over and again, but never get the specificity needed for “acute on chronic diastolic congestive heart failure” (I50.33)? Or that the patient had comorbidities like E66.2 Morbid (severe) obesity with alveolar hypo-ventilation? Thankfully, many healthcare organizations employ billing experts, clinical documentation improvement specialists, and others to hunt down a specificity. They usually have the documentation updated to reflect the correct diagnosis, co-morbidities, and ultimately the right Diagnosis-Related Group (DRG) for billing. Unfortunately, paper chases are very time-consuming. Often, the update must take place within the electronic medical record (EMR), at the hand of a physician, not a coder. That’s where queries come in to play. Documentation specialists send providers queries requesting additional, missing information. This is sometimes accomplished via the EMR. 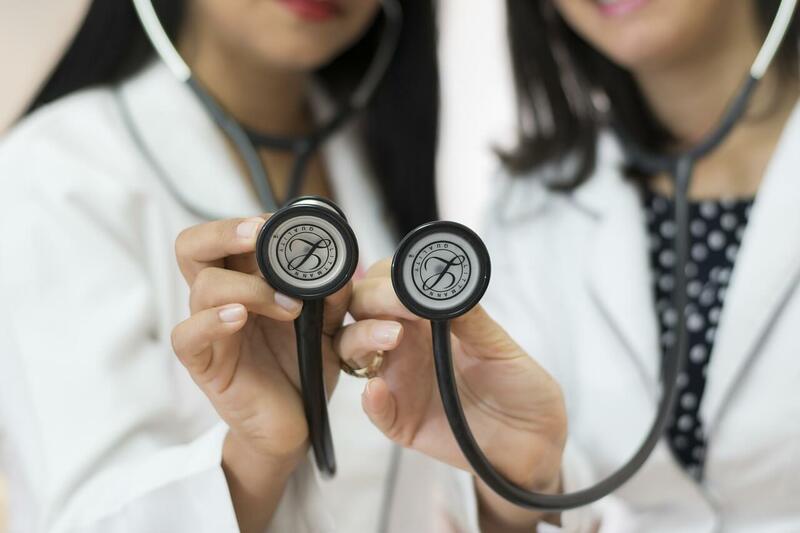 Third-party medical record management products and multiple phone calls may be required to prompt physician documentation updates. What if these analysts simply texted the physician using a HIPAA-compliant texting app, sending the information in real time? This conversation happens before discharge, in real-time. With message details and delivery confirmation, the analyst is assured their query has been delivered, unlike those voicemails of the past. Effective use of multidisciplinary rounds improves patient care, It can decrease length of stay with improved, transparent communication. Like any type of in-person meeting, coordination can be difficult with multiple parties. A secure texting application that leverages dynamic subgroups, may be the answer. A dynamic subgroup allows various users to log in and out of a virtual group. They have the option to participate in the conversation as needed. Think of it as a roaming conference room where the appropriate parties pop-in and out as needed. So, why not have a regular group conversation to facilitate this? Because, as conditions evolve so do the necessary representatives. You may not always need pharmacy involvement or palliative care. A chaplain may need to join for a short time, or a social worker may become more involved towards discharge. It’s likely you have users in these roles working various or unpredictable shifts. A dynamic subgroup solves this communication challenge. This subgroup has the ability to share documentation virtually, requesting signatures, faxing documents, and filing to the EMR. How often does your staff sort through manually managed spreadsheets? Or, try to read that dry erase board (that’s more erased than it is dry)? How about deciphering printouts with microscopic text, to determine who is on call? Too often. OnCall schedules usually consume a lot of time to create, update, share, and review. Many rely on admins and manual processes to accomplish this. What if there was a better way? What if your secure texting application allowed you to dynamically create, manage, and share oncall schedules? And, send a secure message to on call clinicians? Your STEMI team could be activated with one secure text message sent to the STEMI oncall group. It’s not a dream, it’s OnCall Scheduling, done well. There are a lot of moving pieces to discharge planning. Most of the time, it’s a game of “hurry up and wait.” Whether you’re waiting on specialized equipment, results, or discharge orders, waiting endangers length of stay, increasing costs for everyone. Look for a HIPAA-compliant texting app with these features to streamline the process! Obtain CMS-compliant physician orders via fax. Send and receive signed paperwork like care plans, Discharge Summaries, and more. Use an integrated camera to send or receive HIPAA-compliant photos. Capture post-op patient images and other artifacts to close out the patient account. 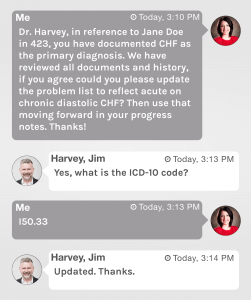 Clinical documentation and multidisciplinary rounds improvement as well as more transparent on call schedules, and faster discharge planning, are just a handful of initiatives a secure texting app enables. These results could revolutionize your normal operations. What you may not expect, but will certainly enjoy, is the enriched job performance and satisfaction among employees. When people have the tools to do their job, they flourish. Help your healthcare team thrive with a HIPAA-compliant texting app that has every benefit you need. Explore all the benefits of the QliqSOFT secure texting app today. It’s free to download, so try it out.